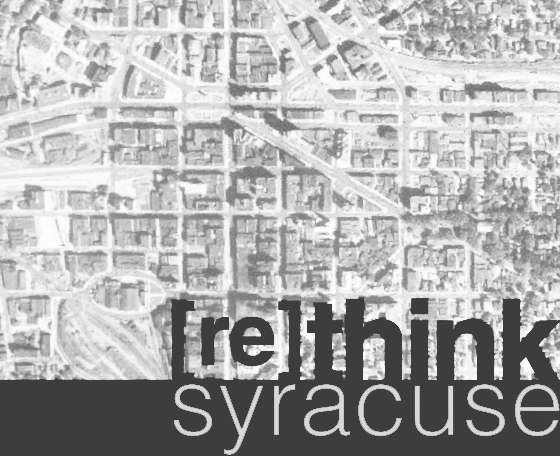 West Onondaga Street was once one of the most prestigious addresses to have in Syracuse: This was in a time before people became fixated on finding the best school districts and fleeing the city. The street is full of grand mansions, stately apartment buildings, and triumphal churches; or rather, full is not quite the right word -- the street now contains a scattered selection of these things, amongst empty lots, asphalt, and chain stores that have since replaced many of them. I watch in horror as many of these buildings sit to rot, and all-too-often begin to collapse, forcing emergency demolition. But despite the threat of an unlucky fate for the remaining buildings along this once-glamorous street, there is a glimmer of hope as well. If we look at the Onondaga-West St intersection, both a nearby spa and a co-op apartment building have been acting as good stewards for their short stretch of the street for quite some time. Zooming in further and looking at the area right around the co-op, we find a number of interesting apartment buildings, a mansion, and plenty of underutilized land. And it just so happens that two of these buildings are for sale -- one was most recently a school, and the other a long-vacant apartment building. Perhaps some adventurous people could apply the same co-op model that has proven to work so well to both of these buildings and build up a strong presence in the area. Three more beautiful old apartment buildings sit vacant, adjacent to one another at the corner of Onondaga and West, next in line for some fresh residential tenants. With a more-sustained presence of people living and invested in this intersection, its perception as a "scary place" will diminish and the many empty lots could become appetizing to the developer -- there would be a strong market for similar housing in close proximity to downtown. 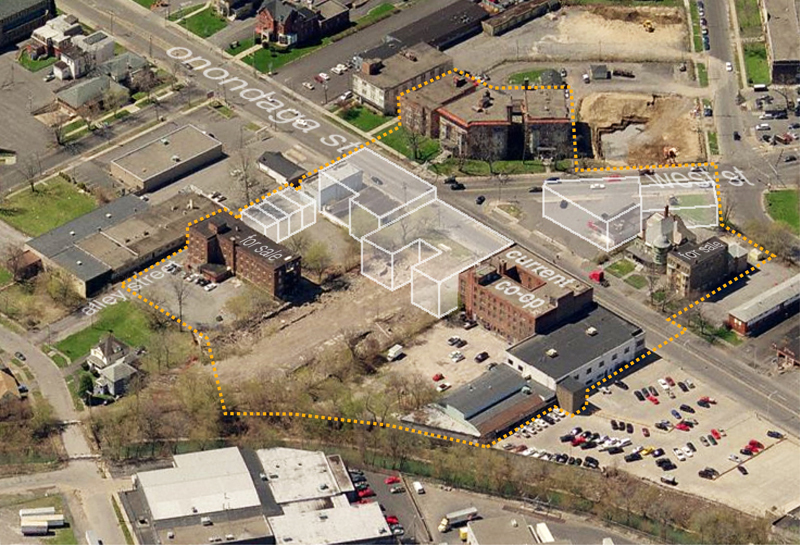 This co-operative housing model may just be the ticket for this small but important micro-neighborhood, and subsequently the hope needed for the entirety of West Onondaga Street. Keep in mind that there are plans to remake both West Street and West Onondaga Streets and green streets with the County "Save the Rain" project. It is a very exciting time for that area.